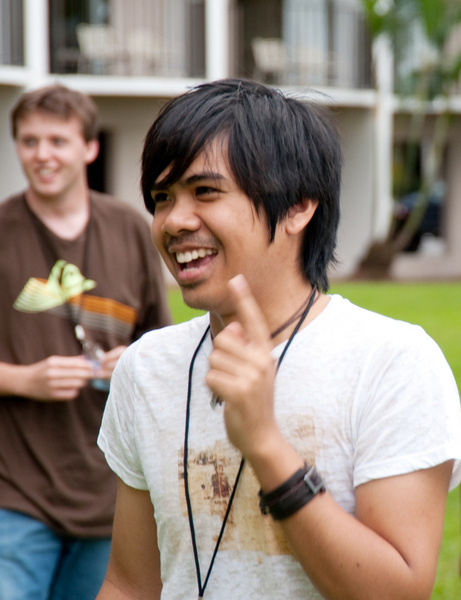 Rodolf Sabalburo is a Computer Electronics & Networking Technology (CENT) student at Honolulu Community College. He has been excited about the Akamai Internship because he enjoys applying himself to new challenges. Originally from Minnesota, Rodolf likes digital photography, playing cello, and learning more about networking and information security systems. He hopes one day to have a career as a network security analyst or auditor. The Canada-France-Hawaii Telescope (CFHT) is in the process of implementing its Observatory Automation Project (OAP). The goal of the OAP is to enable remote monitoring and control of observatory subsystems, to allow operation of the telescope from the headquarters in Waimea without personnel at the summit. Weather sensing is one of many subprojects contained within the OAP, including the continuous monitoring of airborne particles (“dust”). Dust presents a potential hazard to the telescope; however, a baseline for unsafe dust levels has not yet been established. This project focused on configuring and benchmarking an airborne-particle counter to measure the concentration of micron-scale dust in the air surrounding the telescope. This device was configured via PC using a serial communications protocol called Modbus. A program written in C language was created to continuously poll measurements from the particle counter, sampling once per minute and saving to a monitoring database. The airborne-particle counter was then mounted within the observatory dome and connected to CFHT’s internal network. Particle measurements are now graphed and archived every minute in CFHT’s monitoring database. Over time, the archived measurements will be used to establish a baseline for unsafe dust levels. These data, combined with other weather-sensing information, will allow engineers to determine remotely whether environmental conditions at the summit are safe enough to open the dome and operate the telescope.